My how time flies! 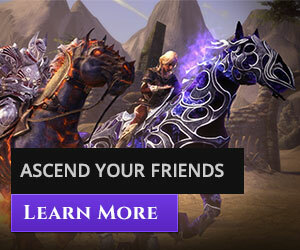 Ascended, your third Prime challenge can be seen on the horizon! This time, we are focusing on a new challenge coming to both Prime and Live, as well as showcasing Twisted Artifacts and Crafting Rifts to Prime. The Second PRIME: VIGIL Challenge ends on May 17th, so you still have time to hit your goals in that! We’ll announce the winners the following week. Now On to Challenge III! The third challenge starts on May 18, 2018 May 16, 2018 after the patch – if the patch time or date changes, the event will shift accordingly. DeadSimon has lost a large number of Confounded Contraptions across old Mathosia. Collect all 110 to earn his everlasting gratitude! The top three finishers and three who completed it any time during the event will receive the unreleased Demonette Wings, many months in advance of general release. 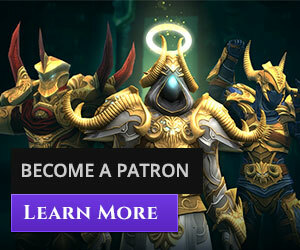 In fact, the winners will get both the mount and costume versions of the wings! Everyone who finishes this achievement, forevermore, gains the title: “The Confounded.” It’s a new achievement (for Live and Prime) and will continue past the challenge phase. Note: the contraptions are much, MUCH smaller than the one shown in the image below! Prime players have been looking for Crafting Rifts for some time, and we have too – here’s how to use them to complete an official challenge! Think you’re dedicated enough? 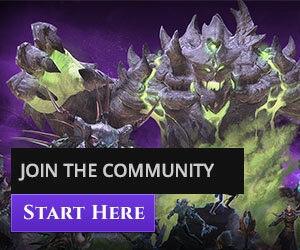 Are you up for three hundred Crafting Rifts? We know some of you are! First three to complete and three randomly drawn from all who complete during the event: A unique title that we want to open up to your ideas. Send us your suggestions! More mayhem ensues as the coveted Twisted Artifacts become an even more valuable target on Prime. This is your advance notice to gather enough planarite to purchase Omen Sight or Quantum Sight in advance! Starting at the event kickoff on May 18th, collect 500 Twisted Artifacts! Sorry, the ones already in your pockets do not count. First three to complete and three randomly drawn from all who complete during the event: Another unique title – we’d love your ideas before we select one! Please post Challenge III questions, comments and title suggestions to this thread! DeadSimon reserves the right to choose a suggested name only if one strikes his fancy, so make them clever!